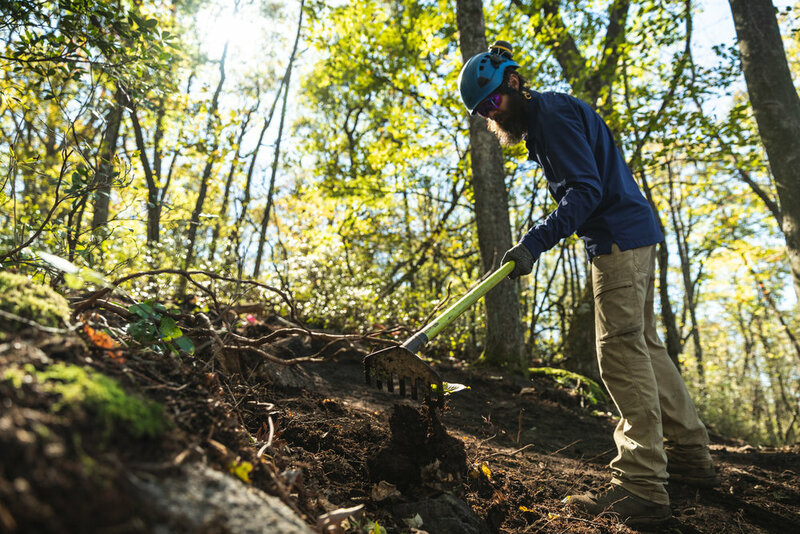 As specialty bicycle retailers—especially ones that are heavily focused on mountain bikes—it’s natural to be involved in local trail building and maintenance projects, whether through a local IMBA chapter or independently. But before you pack in your pole saws, Pulaskis and pry bars, consider the risks it can pose to your business or to partnering organizations. Over the past decade, I’ve helped hundreds of mountain bike trail building organizations (both volunteer and professional) write adequate commercial insurance coverage for the unique exposures associated with their work of building and maintaining trails. Many of these liability exposures could extend to your business, depending on how you’re partnering on a given trail or network. Most mountain bike trails are built on public land, where they’re readily accessible to, not to mention used by, the general public. When a trail building organization owns the trail/network, and only permits access to its members, it can better manage potential risks. For example, it can require its members to sign a liability waiver in order to ride, which could be instrumental in fighting a lawsuit. Most trail builders falsely believe that recreational use statutes protect them against lawsuits; while they do protect landowners/land managers, they do little or nothing to prevent suits against trail building/maintenance organizations. Many of the claims we see are directly tied to technical trail features. 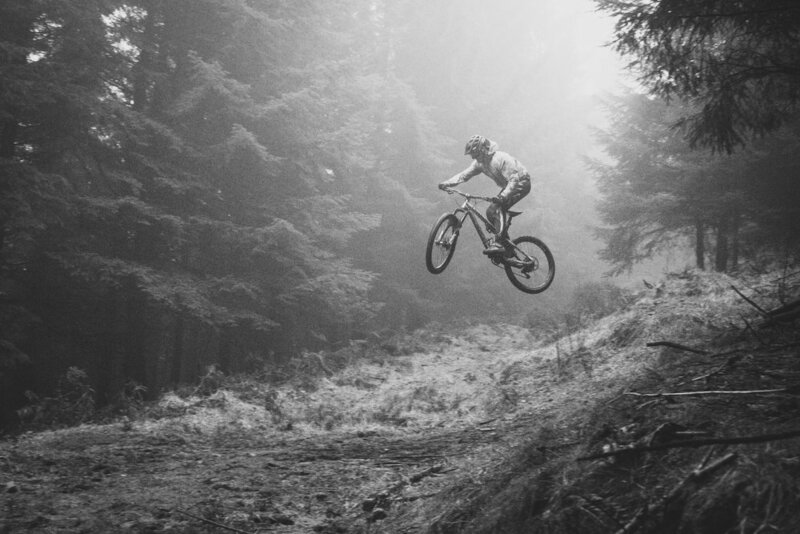 Often, an injured party will allege that they weren’t properly warned of “dangerous” trail features—like berms, rocks and drops—that posed a risk to rider. If there’s ANYTHING wrong with a feature, such as a loose bridge plank or improper design, it only escalates liability. Some of the larger claims we’ve encountered have nothing at all to do with bicycling. In several cases, a pedestrian tripped over a technical trail feature. They’re a bit unusual, but these premises liability claims can be surprisingly large—from the $10,000 range to well north of $500,000. The point here is that you have to anticipate unexpected uses, and keep in mind that your end users will likely be more diverse, and potentially less experienced, than a relatively small, tight-knit MTB community. So what can be done to prevent these types of claims? Often claims happen long after a trail or technical feature was built, and many are due to improper maintenance. Many land managers want to shift 100 percent of the liability to the trail building organization, but IMBA recommends that non-governmental organizations avoid stating they’re responsible for “maintaining, operating or managing” trails. It’s fine to assist a land manager with maintenance, but unwise to accept responsibility where you don’t have control over access. This is becoming increasingly tricky, as more land managers’ legal counsels encourage them to contractually shift as much liability as possible to other entities with a user agreement or memorandum of understanding. But Rich Edwards, Director of Construction & Operations for Trail Solutions (an IMBA division), says that IMBA recommends the managing agency bear the liability for operating public recreational trails, and that reducing risk for the partnership trail advocacy group is in all parties’ best interest. He contends that it’s unreasonable to push liability to a non-governmental volunteer organization, since they have no control over the land where the trails are located. If trails are affected by land management operations, say, or an “act of God” (a rainstorm or windstorm, for example), they’re not in a position to close them to prevent damage or user injury, even as they’re held responsible for maintenance liabilities. Even so, he says, many trail advocacy groups have already entered into such lopsided agreements (where liability is concerned). The bottom line, though, is to avoid committing yourself/your store or your partner organization to any kind of legally binding responsibility for public lands trail maintenance wherever possible. If a land manager requiresa trail building organization to maintain the trails, that organization should aim to perform regular, systematic maintenance of the trails and (especially) technical trail features, and keep detailed logs of when it’s performed. Proper signage is another way to prevent claims. In some areas, land managers and trail building organizations believe that putting warning signs before every technical trail feature helps reduce risk. In addition, having a very detailed description of each specific trail (as well as the entire trail system) is just as important as, if not more so, than having individual difficulty ratings. That’s because trail difficulty ratings are so subjective from region to region, and organization to organization. A rider from the Upper Midwest will likely find a blue intermediate trail—these are especially fraught, since the spectrum of blue trails is quite wide—in the Pacific Northwest to be much more technical and difficult compared to blue trails back home. A detailed description at the trailhead, including the kinds of grades and technical trail features that will be encountered down the trail, can help reduce some of that ambiguity. Unfortunately, there’s no one-size-fits-all solution to signage, as some states tend to interpret language warning how potentially dangerous/challenging a trail is, to be an “admission” that the trail is unsafe for public use. Edwards cited a sign at a bike park in Florida that reads, “The decisions you make determine whether you ride, walk or get carried out of here.” While that language may work in Florida, it may completely backfire in another state. He adds that in many locations, the public is generally unaware of the risks—threats from terrain, animals, dangerous plants, multiple disease vectors, weather, lightning, overhead impacts and more—of being out in undeveloped open space. All natural areas are potentially dangerous, and some much more than others. Visitors to a trail in these locations should be made aware of the risks they are undertaking. Many highly technical trails contain a “filter,” which is a feature at the start of the trail that’s representative of what the remainder of the trail will be like. Personally, I believe the best way to reduce the risk of claims is to do a thorough review of your MOUs/contracts with various land managers. This is obviously much easier to do on the “front end,” versus after the agreement has been signed. Most clubs have long-standing MOU’s that may be difficult to change after the fact. If a trail advocacy group can’t get out of its MOU/contract, it really needs to concentrate on systematic maintenance of the existing trails and technical trail features, as well as crafting the proper signage at trailheads, concentrating on words to “avoid” to help limit liability. Scott Chapin is an accomplished mountain bike racer, and a bicycle industry risk specialist with Marsh & McLennan Agency. He helps bike shop owners across the United States protect their assets and build stronger businesses, and can be reached at 715-634-6513 or scott.chapin@marshmma.com.